Default Value The Role Selected is added automatically when creating a new record. Allow multiple choice? When ticked, the user can select multiple values (Roles). 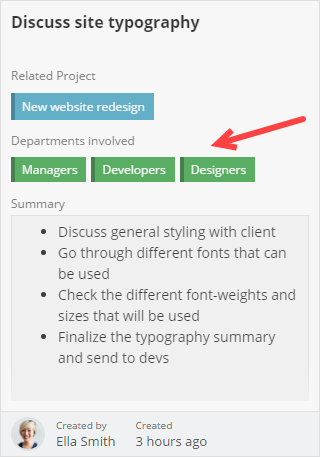 When unticked, the user can only select a single value from the Roles list. 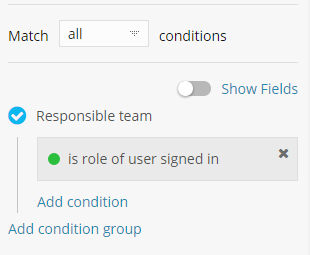 In a Projects App there is a Link to Role Field named Responsible team. When John Doe signs in, he will see all the projects where his role is selected as the Responsible team. On the other hand, when Jane Doe signs in, she will see all the projects where her role is selected as the Responsible team.